Granted, SUVs and crossovers lead the pack as the most popular vehicles in America, so it’s no surprise that the 2017 Los Angeles Auto Show was dominated by these trendy people movers. That said, there were plenty of models showcased in L.A. that do not fall into the crossover/SUV category — most of which were of the luxury and performance ilk. With new models from BMW, Chevrolet, Mercedes-Benz and more, here’s a quick look at car highlights from the 2017 Los Angeles Auto Show. A couple years ago when we first drove the BMW i8 it felt like we were driving the future. Now the future is available as a top-down roadster. 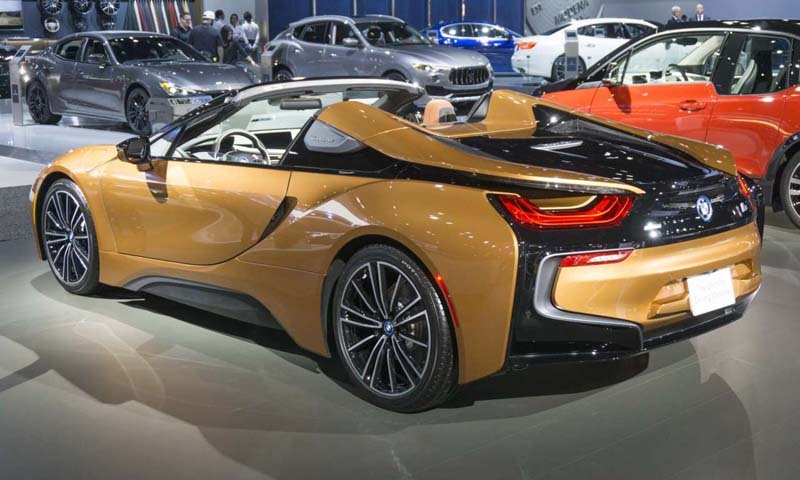 BMW unveiled the all-new 2019 i8 Roadster at this year’s show in Los Angeles, adding an open-air experience to the hybrid i8. Equipped with an all-season fabric soft-top, the i8 Roadster can go from closed to open in 16 seconds while travelling at speeds up to 31 mph. As the roof opens, a rear window automatically rises to reduce wind turbulence in the cabin; however, the window can be lowered if more airflow is desired. The i8 Roadster (and coupe) are still powered by an electric motor teamed with a TwinPower Turbocharged 1.5-liter 3-cylinder engine. Both the motors receive power increases for the 2019 model year for a total of 369 horsepower. 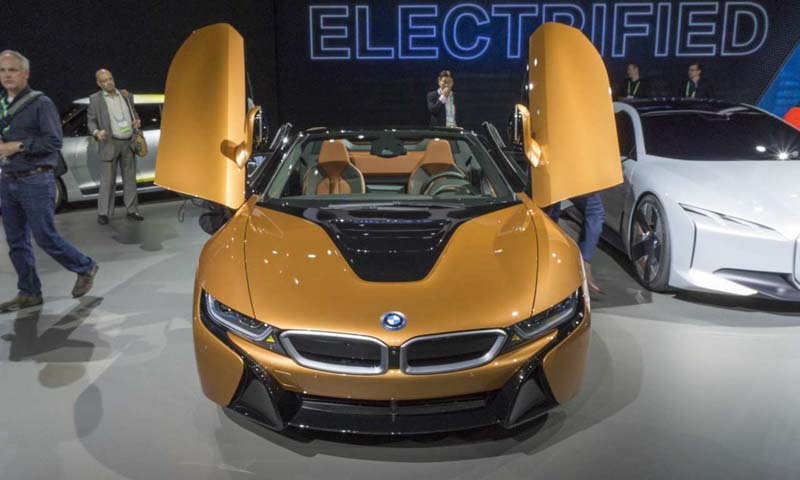 The gasoline engine gets a new sportier sound; the i8 can reach 60 mph in a mere 4.2 seconds. Electric-only range has also been improved to 18 miles. The new i8 Roadster will arrive in BMW showrooms next spring. The Corvette resides at the top of the Chevrolet lineup as the brand’s most powerful offering. that power bar has just been raised with the introduction of the all-new Chevrolet Corvette ZR1. 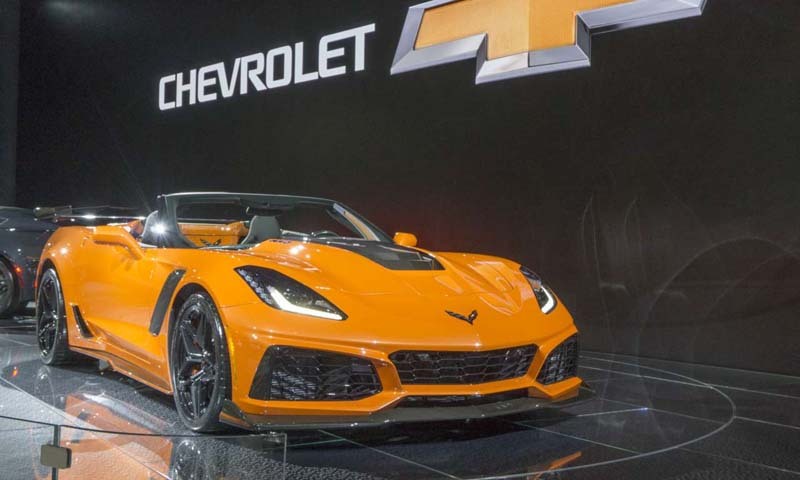 The ZR1 Coupe had a soft debut a few weeks ago at a special event in Dubai, but Chevrolet fittingly chose the 2017 Los Angeles Auto Show in sunny Southern California as the venue to roll out the ZR1 Convertible. This is the first convertible version of the ZR1 since the original in 1970. 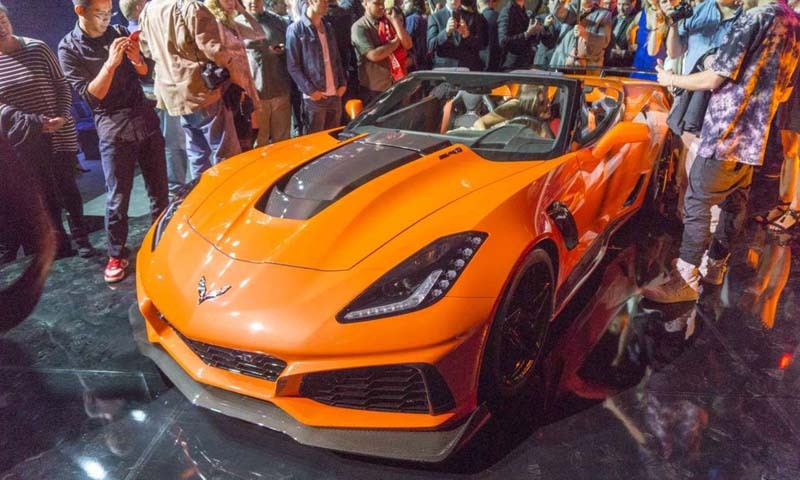 Given the new ZR1’s strong aluminum chassis, minimal structural changes were required to create the convertible, adding only 60 pounds overall. 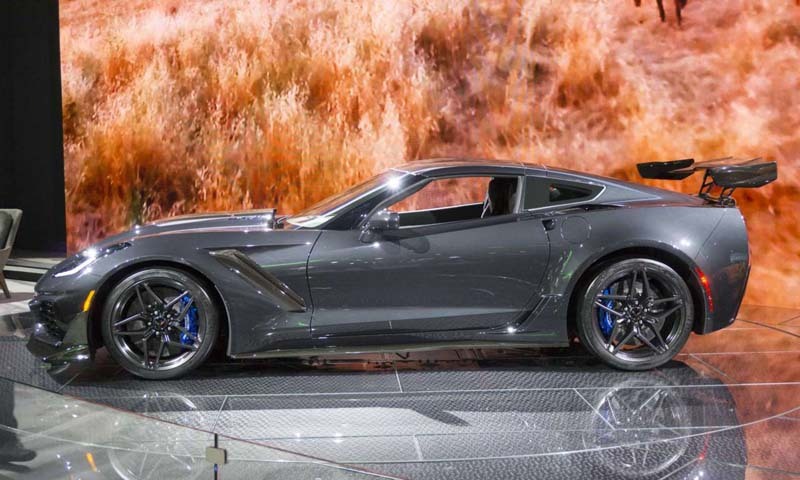 The new ZR1’s LT5 6.2-liter supercharged V8 engine rates a stunning 755 horsepower and 715 lb-ft of torque. With that much power, the ZR1 boasts the highest output ever for a Chevrolet production vehicle. Top speed is expected to exceed 210 mph. The Corvette ZR1 receives an all-new front fascia that functions beyond mere styling. The new nose is designed to channel more air for better engine and drivetrain cooling. To create space for the supercharger/intercooler assembly, the special carbon fiber hood is open in the middle. The all-new Corvette ZR1 goes on sale next spring. The Manufacturer’s Suggested Retail Price for the ZR1 coupe is $119,995. The convertible MSRP will start at $123,995. The number of Porsche 911 variants seems to be never ending — here in Los Angeles the latest iteration made its debut. The new 911 T pays homage to the 911 T from 1968 and is designed to be about pure performance. By using lightweight glass, opener loops instead of standard door handles and reduced sound insulation, Porsche has made the 911 T the lightest in the 911 Carrera lineup. The 911 T (T stands for Touring) also comes with many features designed to further enhance performance, including a sport suspension with lowered ride height, available rear-axle steering, a mechanical rear-differential lock and a shortened gear lever. 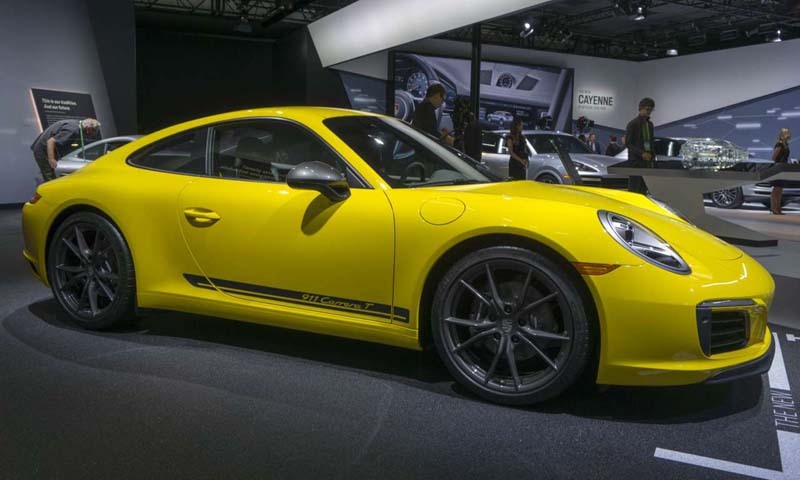 Powering the 911 T is a twin-turbo 3.0-liter flat-six engine that puts out 370 horsepower and 331 lb-ft of torque. Equipped with a manual gearbox, the 911 T can reach 60 mph in 4.3 seconds with a top track speed of 182 mph. A PDK transmission is also available, which cuts the time to 60 mph to a mere 4 seconds. Inside are power-adjustable sport seats with seat centers in Sport-Tex. The sport steering wheel is trimmed in leather and features a driving mode switch. The shortened gear lever with shift pattern embossed in red is exclusive to the 911 Carrera T. Expected to arrive in showrooms next March, the 911 T is priced at $102,100. 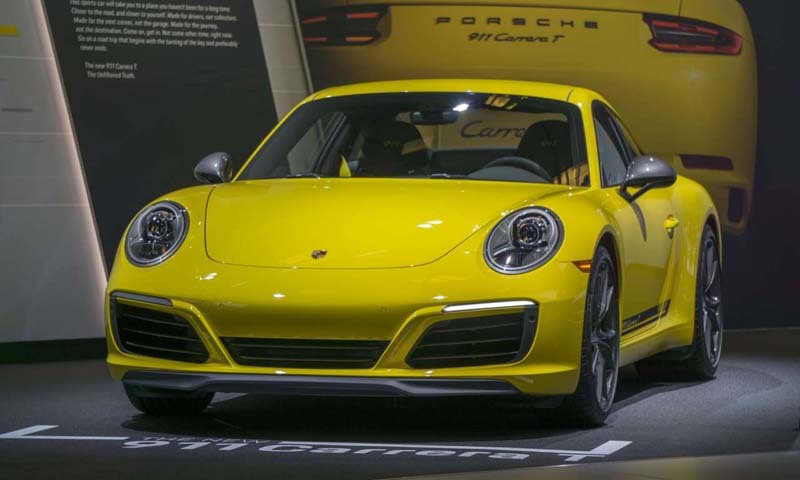 2018 Porsche 911 T Powering the 911 T is a twin-turbo 3.0-liter flat-six engine that puts out 370 horsepower and 331 lb-ft of torque. Equipped with a manual gearbox, the 911 T can reach 60 mph in 4.3 seconds with a top track speed of 182 mph. A PDK transmission is also available, which cuts the time to 60 mph to a mere 4 seconds. Inside are power-adjustable sport seats with seat centers in Sport-Tex. The sport steering wheel is trimmed in leather and features a driving mode switch. The shortened gear lever with shift pattern embossed in red is exclusive to the 911 Carrera T. Expected to arrive in showrooms next March, the 911 T is priced at $102,100. 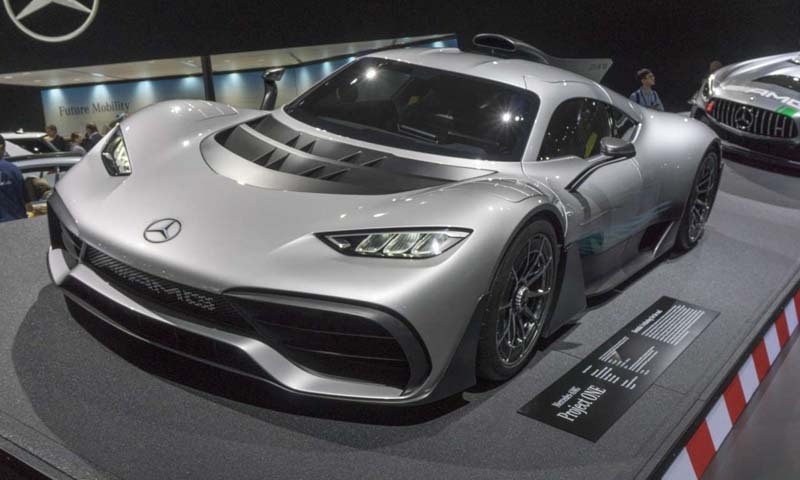 A few months ago, Mercedes-AMG celebrated the AMG brand’s 50 anniversary in proper fashion with the introduction of an extreme supersports car, the Project ONE. The Project ONE made its U.S. debut at the 2017 Los Angeles Auto Show. When most car companies refer to bringing their racing technology and experience to the street, it usually isn’t as literal as what Mercedes-AMG has done. 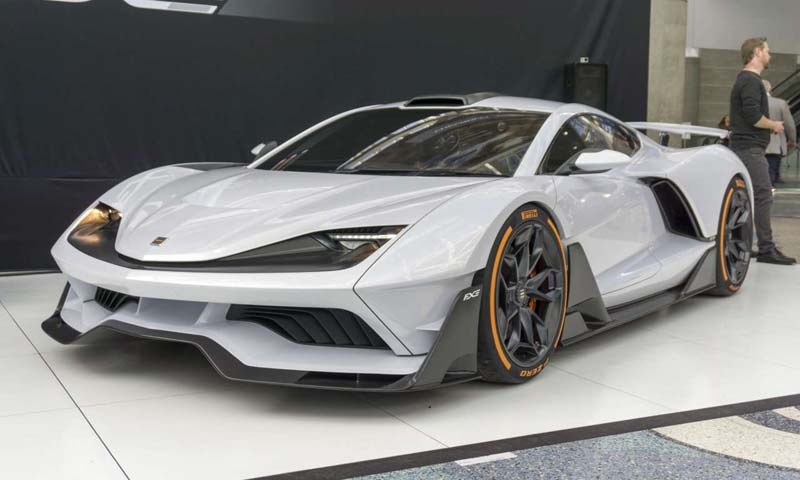 The Project ONE employs a full-fledged Formula One hybrid drive system consisting of a 1.6-liter direct-injection V6 engine that uses an electrically-assisted turbocharger. This gets teamed with an additional electric motor linked directly to the driveshaft, as well as two electric motors fitted to the front axle that provide acceleration and braking at each wheel for better stability and all-wheel-drive control. This extremely complex system of electric motors, gas engine and turbocharger come together to produce more than 1000 horsepower. 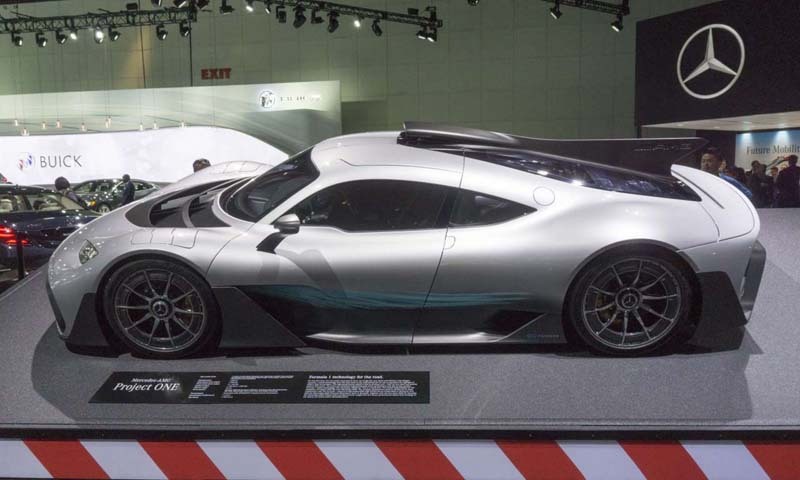 Although we typically tell you how fast a car such as the Project ONE would reach 60 mph, Mercedes-AMG is only reporting that this extreme supercar will reach 124 mph (200 km/h) in less than 6 seconds. Top speed is reported to be 217 mph. Mercedes-AMG describes the interior of the Project ONE as a Formula One car for two. The carbon fiber monocoque has integrated bucket seats, and the steering wheel adds to the race car feel with Formula One styling. We should point out that the Mercedes-AMG Project ONE is still a concept car. When it does go on sale only 275 will be built, and each will cost €2.275 million (US$2.72 million). The name Saleen has been associated with performance since the company began customizing and enhancing Ford Mustangs in the mid-1980s. About 17 years ago, Steve Saleen introduced the brand’s first purpose-built supercar, the Saleen S7. 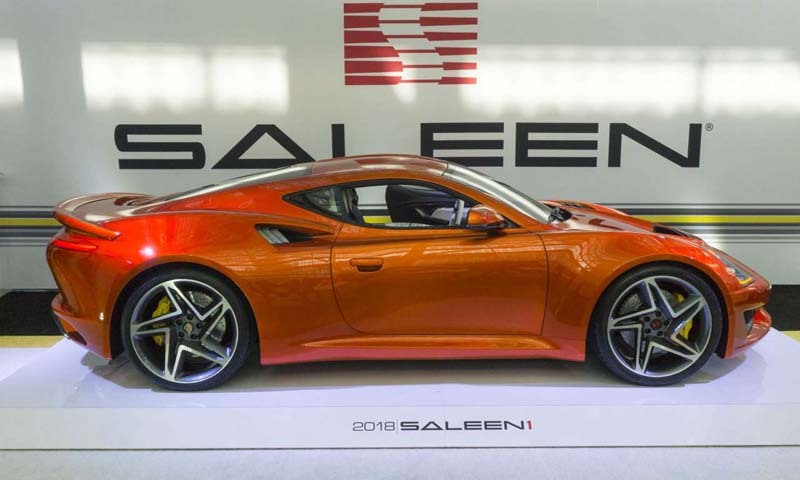 In the City of Angels Steve Saleen was on the floor presenting the company’s latest product, the Saleen 1. This beautiful mid-engine sports car was designed and built in-house and features a lightweight yet strong carbon-fiber body and aluminum chassis. Power comes from a Saleen-built 2.5-liter turbocharged 4-cylinder engine that produces 450 horsepower and 350 lb-ft of torque. A 6-speed manual gearbox is standard; however, an automatic transmission with paddle shifters is available. The Saleen 1’s potent engine and lightweight yet rigid construction create impressive performance figures. 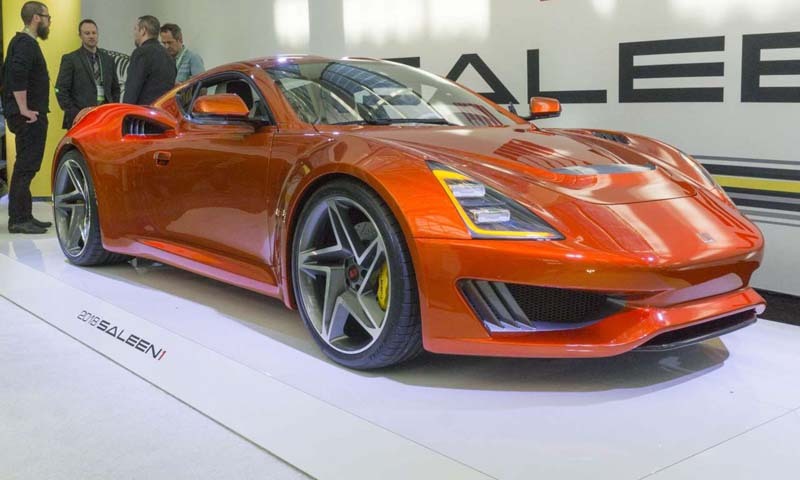 Saleen claims this new sports car can hit 60 mph from a standstill in 3.5 seconds with a top speed of 180 mph. More importantly, with the latest in electronics and purpose-built suspension, handling should be equally impressive — the company claims the Saleen 1 can achieve 1.2g on a skid pad. Pricing starts at $100,000 (which seems like a bargain), and deliveries are expected to start by the middle of 2018. The Aria Group has an impressive 20-year history creating concept vehicles for a variety of car companies, and is even responsible for assembly of Singer Porsche 911s, but at this year’s Los Angeles Auto show the California company built one for themselves — the Aria FXE. With sharp angles and sleek lines, the FXE certainly looks the part of an exotic sports car. And it has the powerplant to back it up. 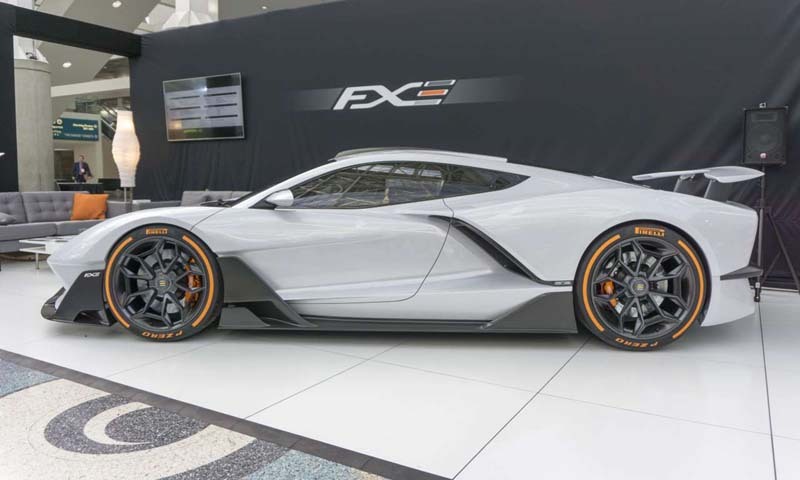 According to Aria, the FXE boasts a hybrid powertrain consisting of a 6.2-liter supercharged V8 gas engine with dual electric motors in the front. Total output is a staggering 1150 horsepower and 1316 lb-ft of torque. That’s enough motivation to reach 60 mph in 2.7 seconds and top out at 210 mph. The company plans to build 400 of these American-made supercars. Normally we would be a bit skeptical about this type of claim — building a new vehicle is no simple task, and many have failed after showcasing a concept such as this — but Aria has the experience to deliver on its promises.